Ukulele, Ukulele, Strum, Strum, Strum – Ever wonder what it might look like to teach a young child to play the ukulele? Here I share my simple four-part session structure. The Leaves Are Falling One By One – See how this singeable story can be used to address expressive language skills, math skills AND motor skills. 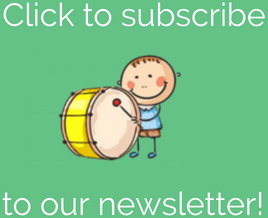 Addressing Academic Concepts with Kids – This post is a round up of videos and songs where you can learn how to target specific academic concepts in your music therapy sessions. 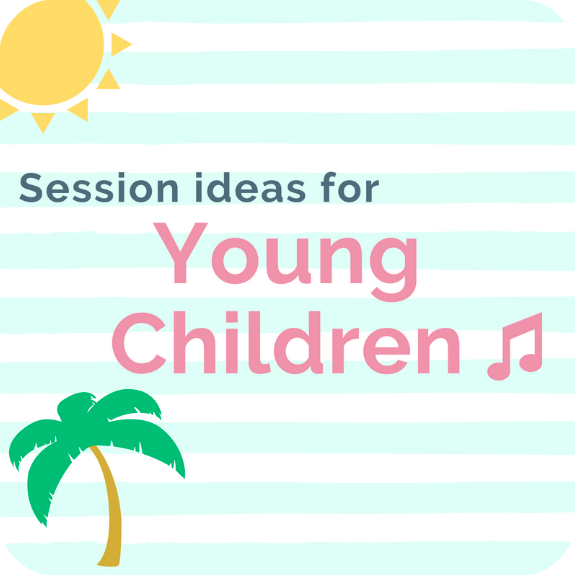 It’s Beach Theme Time – Learn about some of my favorite beach-themed session ideas, including how to incorporate seashells and ocean animal songs to work on therapeutic goals. Need More Beach Theme Ideas? – Check out my favorite books to incorporate, and see how I use the beach ball, suntan lotion and bubbles to work on therapeutic goals. New Book ‘n Songs to Add to Your Collection – Here are some fantastic singable stories you can use in your sessions. Musical Hide & Seek – This intervention idea facilitates sibling interaction, while also working on nonverbal communication and auditory discrimination. You Can Use a Maraca for That? – Find out how I use a maraca in a non-traditional way to work on attention and impulse control. Fun With File Folder Games – Learn how you can create fun, visually appealing file folder games for your sessions with preschool and school age children. Auditory Perception Training with Animal Sounds – Unique instrument sounds with corresponding movements can enhance and refine auditory perception skills. Get Ready to Sing Your Heart Out! – Check out my entire collection of original songs for kids. We Are Spiders – An original move & groove song for Halloween. Sheet music + mp3 available! Variations on ‘Let’s Make Some Music’ – See how I take one original song and vary it in multiple ways to meet a variety of goals. Graduation Day – Click to see the lyrics of the song the children wrote for their Graduation performance.